Classic and cleanly styled, the Boulder Gear Cruiser Insulated Ski Pant will never go out of style. This pant is highly waterproof and warmly insulated to keep you protected against the harshest winter elements. Multiple pockets provide plenty of space for gear. Waterproof zippers on those pockets keep the contents dry. "If I wear a 38 waist...would the large be ok? And what is the length? Thank you." "You can find the size chart located next to the available sizes to the right of the product image. According to the size chart, you are indeed a size large. The inseam length is 32 inches." "If my husband wears a 32 waist but he's tall his pants are usually a 34. I see inseam quoted but not length? " "The inseam that you see there is the length of the pant. " "I wear a men's 35 waist pant. Am I better off in the M or the L in this ski pant? " "We would recommend going with a size Large in these ski pants with a waist measurement of 35." "There is no venting on these pants.... correct?" "I am 6'6" tall, wearing 33Wx34L jeans. What size would you recommend?" "With the measurements you have provided, it does not look like this pant will fit the length you are needing in the inseam. 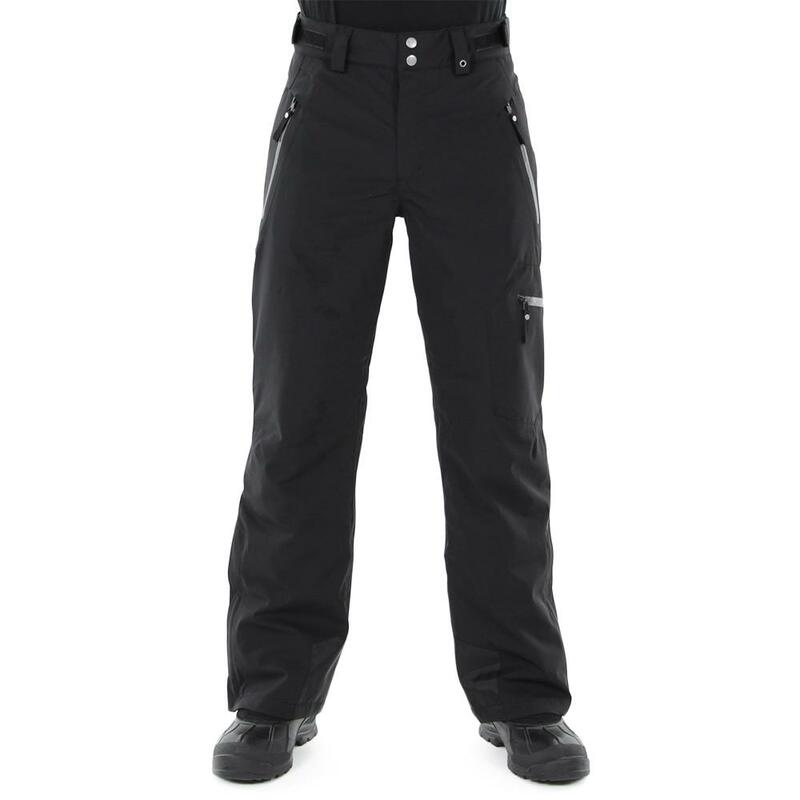 We do carry a few options in ski pants that have a longer inseam option. You can view these items here ." "Do these ski pants come with suspenders?" "These pants do not come with suspenders. " "What size is waist 34 in a S,M,L?" "A size 34 would be a MEDIUM in the Boulder Gear Cruiser Ski Pant. Click HERE to view Boulder Gear's size chart. Hope this information helps!" "I use Hotronic boot heaters and attach the battery to the side of my boot, would the cuffs on these pants give me enough room for the battery?" "Thank You For Your Inquiry. Yes, these pants will work with that setup. These are a relaxed fit and should give enough room for the battery. We Hope This Information Helps!" Bought on sale, extremely satisfied. Went skiing the other day, temp was 8 degrees. Had on the pants with just a pair of thermals underneath. Stayed comfortably warm all day. The inseam is on the long side, but I had much rather have too long, than too short. The pants were great for the slopes. Plenty of pockets for all of the gear and kept me warm and dry all day. Very warm and nice looking too! Perfect for my teen son. Roomy enough for him to do anything in them. I definately purchase these ski pants again. Recently returned from a week of skiing in Montana and these pants met all my requirements, I was warm, dry and comfortable. Well made, quality crafted and with details you expect in much more expensive ski pants. Sizing off on this brand...but good shopping experience! tight waist and way too long....with my 30x31 these should have fit fine...but no....quick refund...no hassle return...will do business with Peter Glenn again! My 16-year-old son said he gives these pants 5 stars after a recent trip to Vail. So far I have skied 2 days in below 20 degrees and my legs stayed warm.